A government program.Try us for FREE! Choose from our range of connectivity services that include Lifeline Service across 19 US States, Bring-Your-Own-Phone, Low-cost Prepaid plans, and Lifeline Top-ups. TAG Mobile Lifeline Assistance Program is a government assisted free cell phone service that provides discounted cell phone services to eligible low income families and individuals. Lifeline Services discounts are offered to qualified customers who meet certain eligibility requirements such as, government assistance or a household income that is at or below 135% of the federal poverty level. Customers get benefits of free minutes and free texts every month. We have nationwide coverage to serve you with the lifeline program. We offer services in Arkansas, Arizona, California, Colorado, Iowa, Kentucky, Louisiana, Maryland, Maine, Michigan, Minnesota, Missouri, Nevada, Oklahoma, Pennsylvania, South Carolina, Texas, Wisconsin and West Virginia. We have brought smiles to over 1.5 million served customers! Our thousands of satisfied customers across the nation have frank opinions about us! I wanted to personally thank Tag Mobile for the service they provide, CA lifeline in my case & for their continual greatness of support! I just want to point out Sandra provided me with the best customer service I had all year and with staff like her it makes me want to refer people to your company. I was feeling down but her friendliness literally helped me feel better, the positivity she has is stellar! How do I check my available minutes? Verizon customers can contact TAG Mobile Customer Service at 1 (866) 959-4918 or TAG Chat Support at tagmobile.com. Sprint & T-Mobile subscribers can check the available minutes online by visiting tagmobile.com by clicking on My Account. How do I check my refill date? To know your refill date, please contact TAG Mobile Customer Service at 1 (866) 959-4918 or TAG Chat Support at tagmobile.com. My account is closed due to Non Usage. How do I get my phone activated? We can reopen the account if it’s within 30 days from the date account was closed. You can contact TAG Mobile Customer Service at 1 (866) 959-4918 or TAG Chat Support at tagmobile.com to reopen the account. If it has been more than 30 days, you need to reapply for the service. My phone is lost, what do I do? You can contact TAG Mobile Customer Service at 1 (866) 959-4918 or TAG Chat Support at tagmobile.com and speak to our representative who will help you with available options. My phone is currently disconnected as I failed to recertify, if I recertify my account now will the service be restored? Unfortunately, as you failed to recertify your account for the year, we cannot reactivate your service. You can definitely reapply. Please contact TAG Mobile Customer Service at 1 (866) 959-4918 or TAG Chat Support at tagmobile.com and speak to our representative who can assist you further. To find out your account number, please visit our website tagmobile.com and click on My Account and enter your phone number. Under account information you will find your 6 or 7 digit account number. For any further assistance feel free to contact TAG Mobile Customer Service at 1 (866) 959-4918 or TAG Chat Support at tagmobile.com. Will my minutes be consumed if I dial 411? Yes, when you dial 411 your minutes will be consumed. Instead you can dial toll free directory assistance number 800-373-3411. To reset the voicemail password. Please contact TAG Mobile Customer Service at 1 (866) 959-4918 or TAG Chat Support at tagmobile.com. If you are a Prepaid Subscriber, you can create an account online and check your call details. Lifeline Subscriber can contact TAG Mobile Customer Service at 1 (866) 959-4918 or TAG Chat Support at tagmobile.com. You can contact TAG Mobile Customer Service at 1 (866) 959-4918 or TAG Chat Support at tagmobile.com and speak to our representative who will assist you with this. I would like to order for a replacement phone, how do I place an order? You can contact TAG Mobile Customer Service at 1 (866) 959-4918 or TAG Chat Support at tagmobile.com and speak to our representative to order for a replacement phone. I have lost my charger, how do I replace it? You can contact TAG Mobile Customer Service at 1 (866) 959-4918 or TAG Chat Support at tagmobile.com and speak to our representative who will assist you further. I want to port my TAG Mobile number to another provider? You need to contact the Service Provider whom you want to switch to and send us a request to release the number. Once we receive the request it would take 72 business hours. You can contact TAG Mobile Customer Service at 1 (866) 959-4918 or TAG Chat Support at tagmobile.com and speak to our representative who will help you with changing the address. Can I swap my phone number to another device? Yes, if you have an unlocked phone which is not a Sprint or Verizon prepaid CDMA device we can try to swap the number. You can contact our TAG Mobile Customer Service at 1 (866) 959-4918 or TAG Chat Support at tagmobile.com for further assistance. What if I use all of my preset allotment of free (1) monthly minutes? There are several options available if you use all of your preset allotment of monthly minutes. You can purchase any of our affordable replenishment plans , wait until your preset allotment of monthly minutes is reloaded (every 30 days after initial activation), or ensure that you never run out of minutes by applying your Lifeline benefit as a discount to one of our many unlimited service plans. Is there TAG Mobile coverage in my area? TAG Mobile utilizes the Verizon, Sprint and T-Mobile wireless networks. For general coverage information,please,click here.For specific information on which TAG Mobile carrier offers the best service in your area, please contact TAG Mobile customer service or speak to a TAG Mobile Agent or Dealer in your area. Can I change my TAG Mobile phone number? How can I contact customer service for TAG Mobile? For questions regarding your TAG Mobile account, contact our customer service department at 1 (866) 959-4918 or TAG Chat Support at tagmobile.com area. My phone is damaged or doesn’t work anymore, what do I do? If your phone is damaged or not working as expected, give us a call at 1 (866) 959-4918 or you can also Chat with us at tagmobile.com; our customer service team is ready to help you! We're happy to troubleshoot the device and if a replacement phone is the answer, we'll guide you through the process. Can I use my GSM SIM card on any other phone? 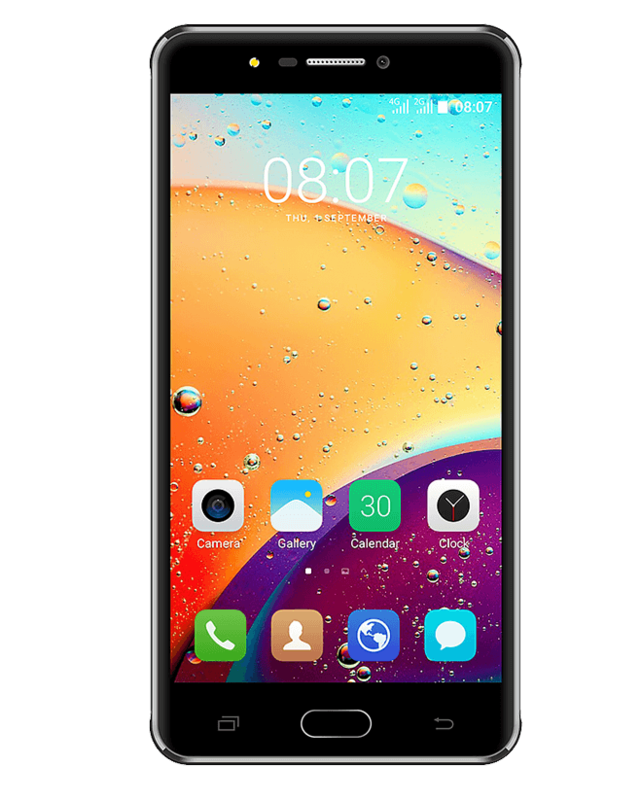 Yes, you can use the SIM card in any Unlocked GSM Handset. How do I insert the SIM Card on my GSM device? First you need to unhook your battery and place the SIM Card into the appropriate cavity by sliding it beneath the little metal bar. Make sure the side with the visible part of the Microchip i.e. the golden strip is facing down and also ensure that the side with the cut in the corner remains outside, the opposite side should go in first. If you still facing issues feel free contact TAG Mobile Customer Service at 1 (866) 959-4918 or TAG Chat Support at tagmobile.com. I have a T-Mobile GSM Phone, I’m unable to make and receive calls it says Emergency Calls only, how can I fix this? You can follow these basic steps to troubleshoot the device. Remove the Back Cover, Battery, and SIM Card, leave it for 2 minutes. Put back the SIM Card, Battery & Back Cover. Turn on the phone and search for T-Mobile Network. My Phone stopped working, I have a spare Verizon or Sprint Device, can I switch the service to that? Yes, if you have an Unlocked Phone which is not a prepaid CDMA device we can try to swap the service. You can contact TAG Mobile Customer Service at 1 (866) 959-4918 or TAG Chat Support at tagmobile.com and speak to our representative who can assist you further. I received my TAG Mobile phone today, it’s not turning on? Firstly, please ensure the phone is charged for 8 hours. After charging the phone, if it still does not turn on please follow these steps. Remove the back cover, unhook the battery & leave it for 2 minutes. Put the battery back in & long press the Power Key “Red Key or End Key”, phone should turn on. If the issue still persists feel free to contact TAG Mobile Customer Service at 1 (866) 959-4918 or TAG Chat Support at tagmobile.com and speak to our representative who can assist you further. My Battery/Charger is not working, what do I do? Please contact TAG Mobile Customer Service at 1 (866) 959-4918 or TAG Chat Support at tagmobile.com and speak to our representative who will help you with a replacement or provide available options. I’m unable to create an Account online to check details of my current Top up cycle? Currently this option is available only for our Prepaid Customers. If you are a prepaid subscriber please contact TAG Mobile Customer Service at 1 (866) 959-4918 or TAG Chat Support at tagmobile.com and speak to our representative who will assist you further. My Phone is asking for a PUK Code, what do I do? I would like to reapply for for Lifeline service. How do I do that? You can visit our website tagmobile.com and sign up for the service. Click on Lifeline Sign up tab; upload the copy of your Identity & Subsidy Proof. You can also download the Lifeline application form available on our website; attach your ID & subsidy proof along with the Multi Household form (available on our website) and fax or email it to us. Fax Number – 9724888636. Email us at support@tagmobile.com. I heard that I will have to recertify my Lifeline account every year. How do I recertify? Lifeline customers are required to re-certify annually. You will receive information about how to recertify your Lifeline service within 60 days of your service anniversary date. If you are approaching your service anniversary date and have not been contacted by TAG Mobile to recertify your Lifeline service, please contact TAG Mobile customer service at 1 (866) 959-4918. I would like to fax my information, what is your fax number? You can track your application by visiting our website tagmobile.com, at the bottom of our home page under Lifeline Service you will find Life Application Status, please click and enter the application number. I need a copy of the Lifeline form? You can download the Lifeline form by visiting our website tagmobile.com; at the bottom of our home page under Lifeline Service you will find Lifeline Forms. Can I apply for your service online? Yes, please visit our website tagmobile.com, click on Lifeline sign up and fill the required information and upload the copy of your Identity and Subsidy Proof. If you need any assistance, feel free to contact our TAG Chat Support team. How do I get my free cell phone? Income at or below 135% of federal poverty level. The government programs and income requirements above are the standard federal eligibility qualifiers. Additional qualifying programs and/or expanded income limits may vary from state to state. Please remember that you must show proof of participation in one of these or other state specific programs in order to receive Lifeline service. If I qualify for Lifeline service, what do I receive? 1) Eligible customers enrolling with TAG Mobile in California receive a FREE Smartphone along with Unlimited Talk and Unlimited Global messaging, every month. 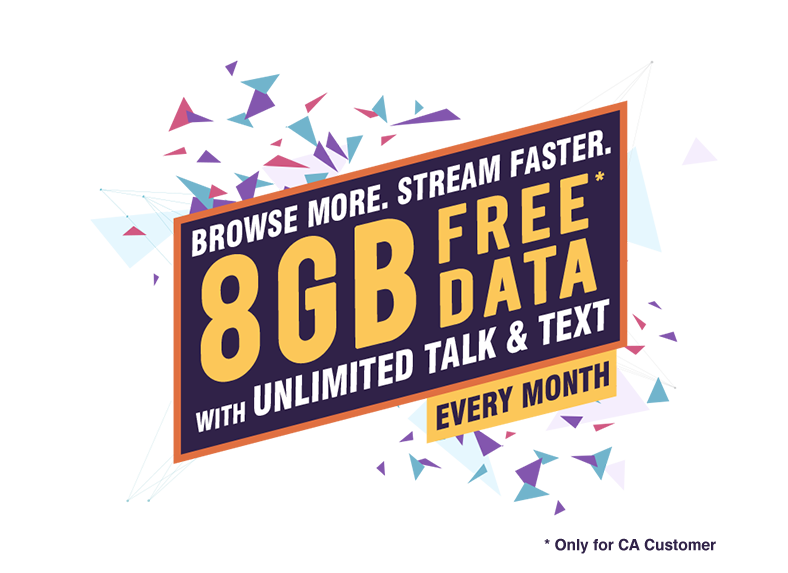 In addition, they also get 500MB LTE Data for first 3 months, and 4th Month onwards 1GB Data! (Please note - after 500MB LTE, the data can be accessed only at 2G/3G speed). 2) Qualifying customers in all other states receive 1000 FREE Voice minutes, with Unlimited FREE text every month. How long does it take for me to receive my free TAG Mobile phone? Once TAG Mobile approves your completed Lifeline application, you should receive your phone within 7-10 business days. What features are available with my TAG Mobile Lifeline service? Your TAG Mobile Lifeline service plan comes with free voicemail, caller ID, and call waiting and allows you to make local/long distance calls and to send and receive text messages. Can my other family members get a free Lifeline Services? How much does it cost to purchase additional minutes? We have different Talk and Text plans available. We have High Speed Data plans available. How do I add additional minutes? You can add additional minutes by visiting our website tagmobile.com. Click on Top-Up or My Account and choose variety of available plans. You can also contact TAG Mobile Customer Service at 1 (866) 959-4918 or TAG Chat Support at tagmobile.com. I would like to become a dealer, how can I sign up for it? To become a dealer, please visit our website tagmobile.com and on our home page click on “BECOME A DEALER” and fill the form. The concerned team will contact you in next 48 business hours.